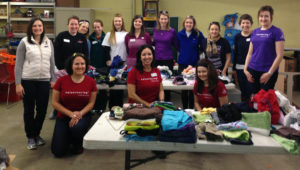 Junior League of St. Louis (JLSL) provides more than 100 Community Impact volunteer opportunities throughout the year for our trained volunteers to support organizations within our community with short-term events. 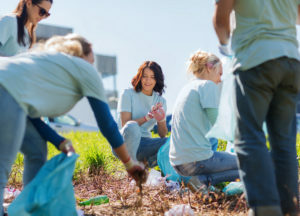 How do we select a Community Impact volunteer opportunity? We have established strong relationships with many local organizations and provide St. Louis volunteer opportunities for their non-fundraising events to support community needs. JLSL is focused on a five-year initiative to reduce the infant mortality level in greater St. Louis, starting in 2016. Beginning with the 2016-17 League year, at least 50 percent of our Community Impact volunteer shifts focus on this issue area. True to our roots, though, JLSL is committed to the greater St. Louis area through other volunteer opportunities for its members. Read more about our application process here.